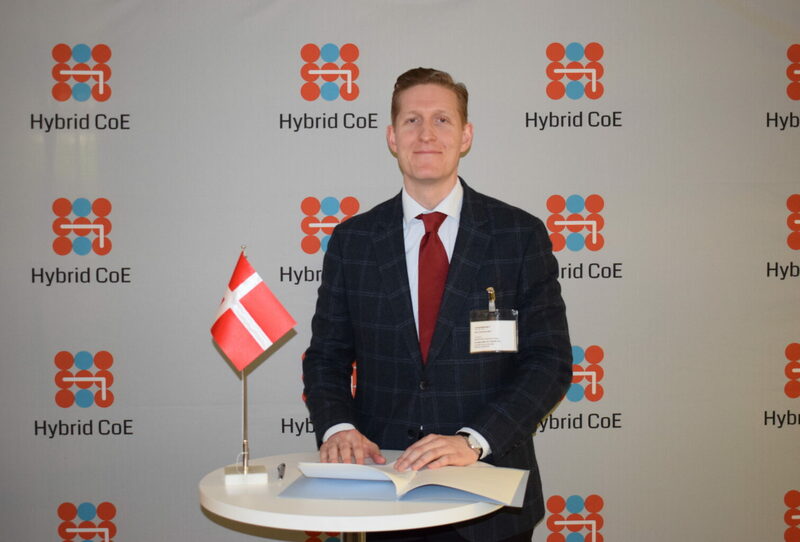 Mr Ulrich Esseman-Beck, Assistant Deputy Permanent Secretary from the Danish Ministry of Defence, this afternoon signed the Memorandum of Understanding and Denmark became the 14th participant in the European Centre of Excellence for Countering Hybrid Threats. “I’m very delighted with Denmark’s decision to join Hybrid CoE. Denmark already participated actively in planning the establishment of the Centre back in 2016 and they have been closely following our activities since last autumn, after the inauguration. Thus, it is great to get them on board”, said Matti Saarelainen, Director of Hybrid CoE. “By joining the Hybrid Centre of Excellence, Denmark wishes to actively contribute to and learn from the important work the centre is conducting. We especially look forward to exchanging ideas with the European and transatlantic network of expertise that the centre brings together. The possibility for participation in training and exercises is also of great importance to us”, said Esseman-Beck. Hybrid CoE now has altogether 14 members, including Estonia, Finland, France, Germany, Latvia, Lithuania, Norway, Poland, Spain, Sweden, Denmark, the United Kingdom and the United States. The Centre closely cooperates with the EU and NATO.